Pinch's new single is a rushy, gnarled, giddily overwhelming proposition. But then you might already have figured that out, given the clue in its title, 'Turbo Mitzi', a nod to one of the more famed brands of ecstasy pill in rave history, the Mitsubishi. A collaboration with Mumdance released through Pinch's long-running label Tectonic, it's 2014's first truly stop-you-in-your-tracks dance record, its leering sub-bass engine and frosty surface patina shattered by a weirdly catchy central motif that punctures the mix like a freshly sharpened icepick. "I've just had the greatest feedback to that," enthuses Pinch, aka Bristol resident Rob Ellis. "It even got played on BBC Radio 3," he laughs incredulously. "I didn't even think they played anything other than classical music! But yeah, there's an air of excitement. It's a refreshing place to be after feeling like I've been searching a bit for a few years. After a couple of years of not really knowing quite what to do with myself musically, I finally feel like I've got my new home, if that makes any sense." Last year's much-mooted 'jungle revival' in techno-leaning circles proved largely an artificial construct - a neat bit of marketing speak around which to tenuously group a cluster of artists mostly doing vastly different things. At surface level 'Turbo Mitzi', alongside other recent music from Mumdance and the latter's frequent collaborator Logos, makes no bones about taking inspiration from early drum & bass - what Ellis calls "that darkside, kind of Metalheadz-y energy". But it's also defiantly resistant to nostalgic backwards-gazing. With the tempo slowed to an evil, growling lurch, the music (alongside that of kindred travelers like Peverelist, Beneath, Asusu and Batu) is defined by its controlled command of negative space, making each of the handful of sonic elements that are utilised hit with seething force - a tactic that could only have arisen in an era following dubstep's rise and fall. It's no coincidence, of course, that Ellis was among dubstep's key innovators. Having initially fallen deeply in love with jungle as a teenager and into his early twenties, his earliest encounters with the sparse new sound incubating at London's FWD>> nights were sufficient to inspire him to begin seeding a dubstep scene in Bristol, via his regular Context, Subloaded and Dubloaded nights. The city, with its long-running and well-documented love of both sound system culture and high grade herb, unsurprisingly swiftly took to this developing sound, and Bristol became the location of a vibrant sub-scene. 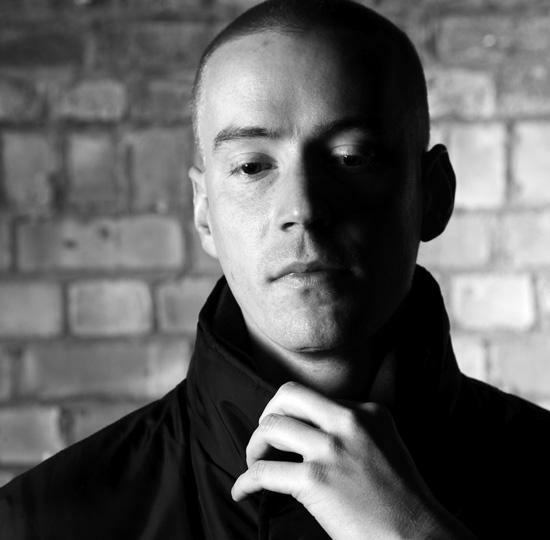 Pinch's own Tectonic label, founded in 2005, became one of the genre's central institutions, while his own music - including the evergreen 'Qawwali' and 2007's still-excellent Underwater Dancehall album - evolved into a vibrant, richly textured stew drawing as much influence from minimal techno and Berlin's Rhythm & Sound as from the London touchstones of jungle and dark garage. Dubstep, as with many UK-born dance genres, eventually fragmented at underground scene level, under pressure of mainstream 'brostep' success and the creeping influence of house and techno. It's this feeling of meandering drift that Ellis refers to when he describes being unsure of his exact future in recent years. He professes to being impressed by dubstep's recent re-settling into its own distinct underground scene - "the deep dubstep thing now exists in its own little world, which is a bit annoying if you're interested in the forward movement of something, but it's also quite an achievement, really, as not many forms of dance music stick that long; I just imagine these endless music rooms at some imaginary rave, and it's got its own room for life now." But he counters that he's more enamored with "this newer sound, akin to the stuff Mumdance is doing. It's not house, not techno, not dubstep, not grime, it's something that's the in-between of many things, and that's always the most exciting point in forms of dance music for me." "If I'm honest, I was wanting that sort of space a few years ago, when I wrote [2011 single] 'Croydon House'," he admits. Indeed, looking backwards now, that track - a nasty, throbbing furnace blaster of a techno tune released on Loefah's Swamp81 label (much of whose own output has since devolved into fairly identikit dark bass-techno) - did seem to predict the current state of affairs rather accurately. "In a roundabout way, [though], it was always going to require a certain momentum around other producers coming in, and I kind of feel that's happening now, so it's good times." Responding to that, last year Pinch founded Cold Recordings, a side-label to the still-running Tectonic focusing more on these slower, technoid mutations. Releases so far from Batu and Elmono - and a takeover of Fabric's Room 3 this Friday - will be followed up this spring by a Cold compilation, also including brand new music from Pinch himself and others. We've met to discuss the thirteen albums he's selected for his Baker's Dozen - a selection of formative, mostly teenage records that he's "genuinely listened to hundreds and hundreds of times over my life". But before we begin I ask how, in the decade he's now been making music, he feels his approach to his music has evolved over that time. "Things change, the forms change, but the core ingredients haven't really changed so much in ten years," he reflects. "Before I started making dubstep, I was a jungle and drum & bass DJ, and then around 2002 I just totally ditched it. I was in the record shop, and was like 'I can't be fucked listening to any more drum & bass! I'm sick of it'. I heard this tune playing in the shop, it was Rhythm & Sound, and it was sick. And I started looking in other parts of the record shop. So I started buying techno, and grime, and lots of Basic Channel. "That's where originally the name Pinch came from - it was, you know, 'a pinch of this, a pinch of that'," he recalls. "I was mixing Basic Channel records and mixing grime records over them, and letting them run out and mixing another over the top. And really, even now, there's an element of this kind of deep techno crossed wth grime, dubstep, bass, whatever, sound that stems from my early fascination of the whole Metalheadz jungle thing, and that lightning quick period of progression in dance music. That's essentially still the core ingredients of what I'm into, but the form is changing."